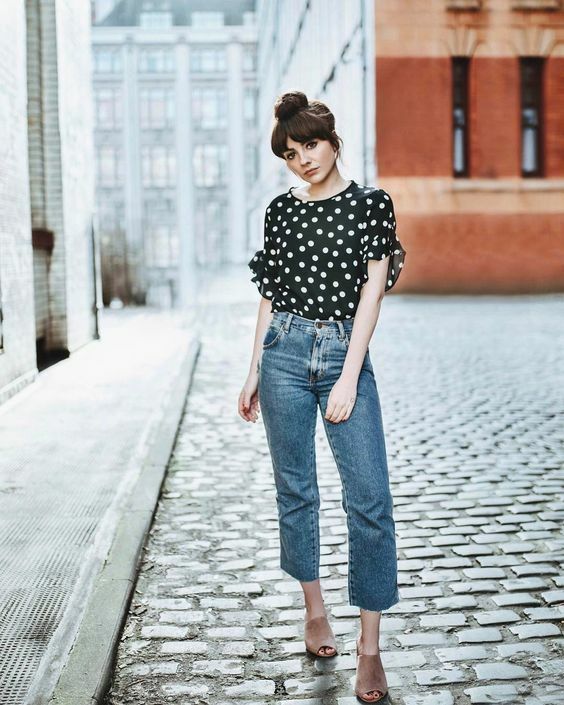 Cropped jeans are the most popular jeans model now and they can be rocked in any season and for many occasions, they highlight your ankles. 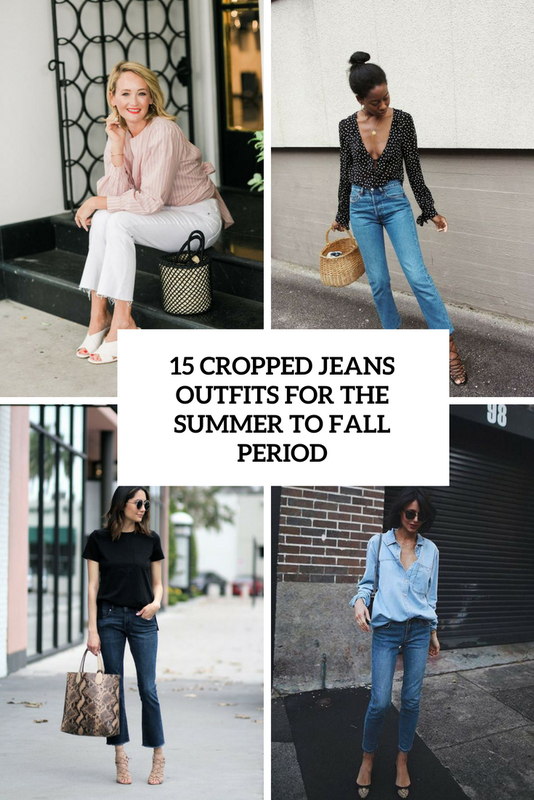 Today I’d like to share some ideas for those of you who want to wear such jeans in the transitional period from summer to fall or on chilly summer days. Let’s take a look at them! 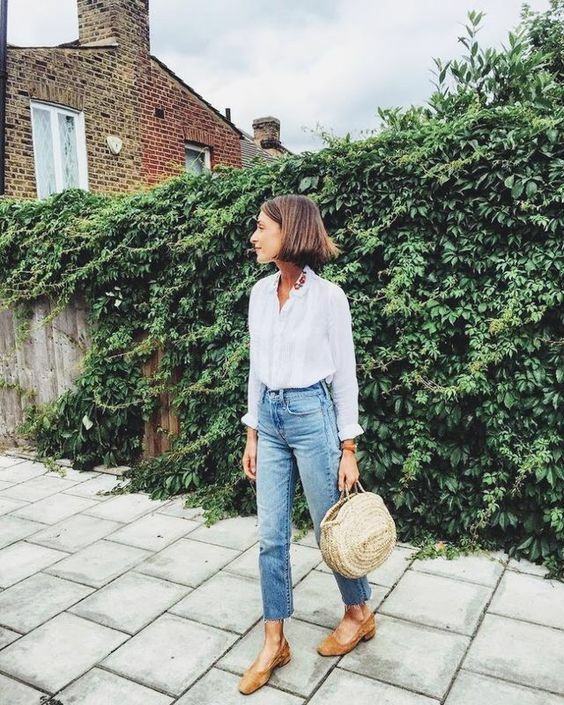 Raw hem jeans are the trend of the year, they can be just with a raw hem, with light fringe and even asymmetrically cut – this is super trendy. 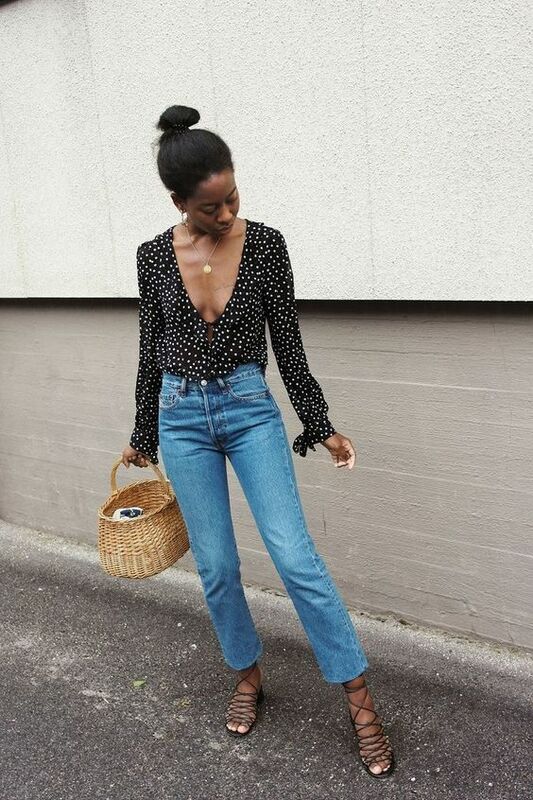 Add a printed blouse or shirt or just a logo tee, which is another trend, mules, heels or moccasins of your choice and take a straw or wicker bag – voila, your edgy outfit is done! 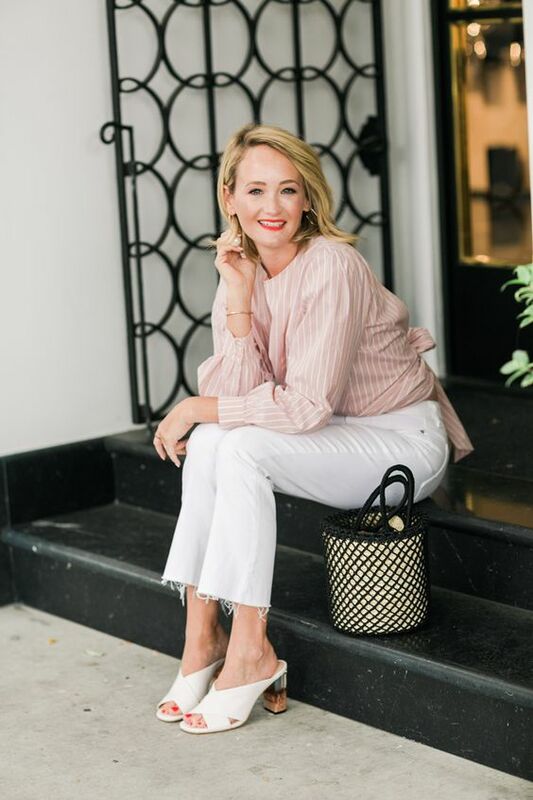 Several trends incorporated into one look is a good idea. 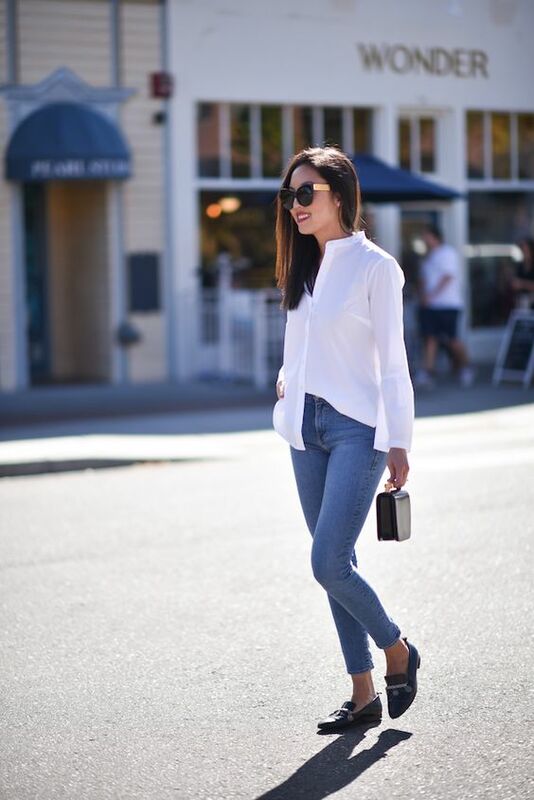 Usual cropped jeans are also welcome, they will make your outfit more refined and stylish. 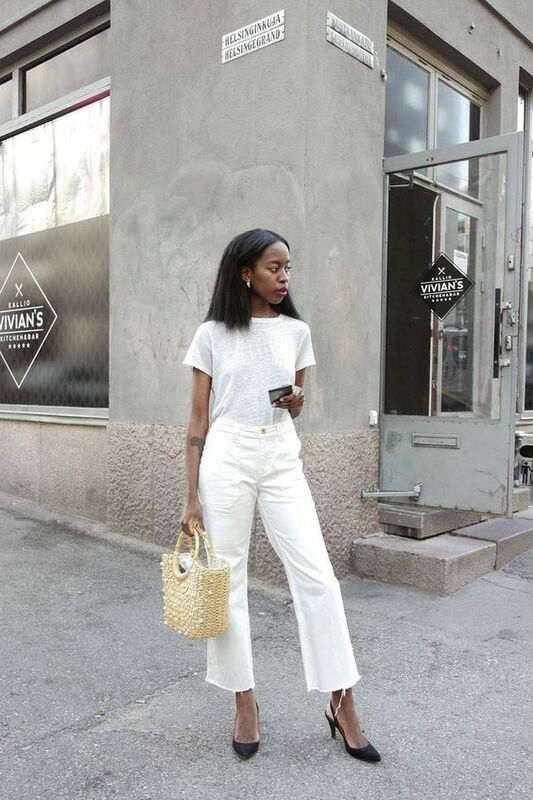 Add a white shirt, a logo tee, a striped long sleeve and some flats or sneakers that you like, take a trendy round straw bag, and you look casual and very fashionable.